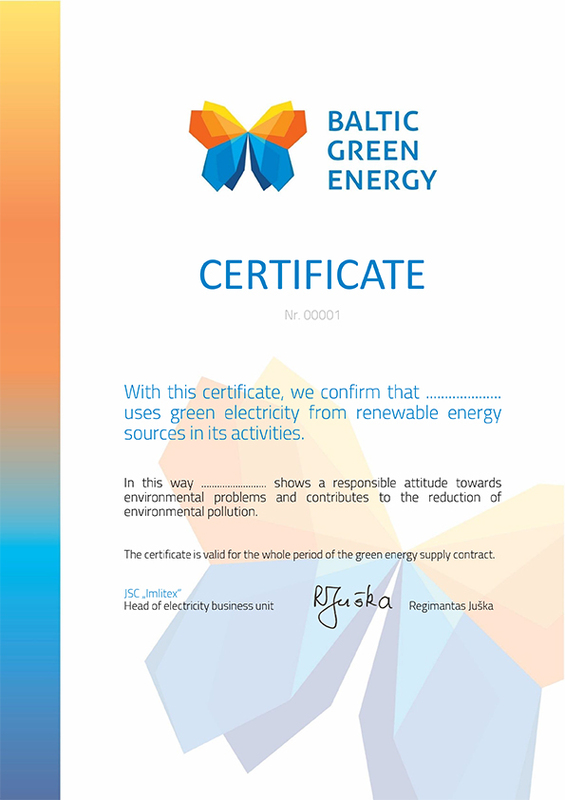 We can supply unlimited volume of renewable energy and provide you with “Baltic Green Energy” certificates. Customers consuming green power express their responsible attitude to the environmental issues and contributes to lower CO2 emission levels. Green power can be supplied with any of our plans: fixed price, variable price or mixed price. Improve you image by expressing responsible attitude. We will assit you to choose the most suitable plan.